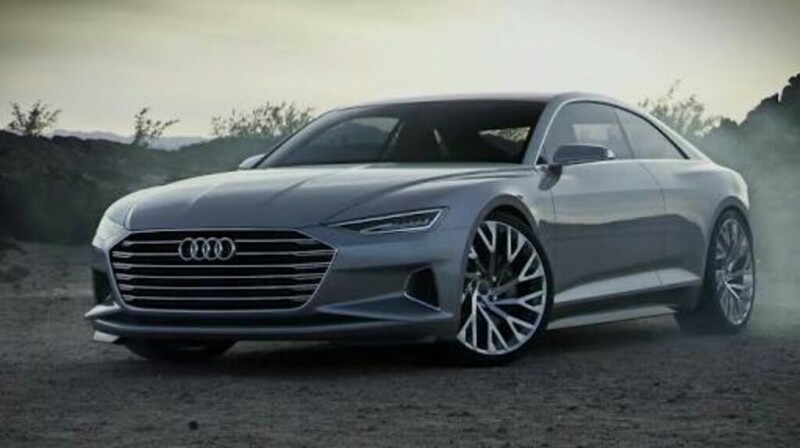 German luxury auto manufacturer Audi has revealed the front fascia of the new generation A6, A7 and A8. Created by Audi’s design chief Marc Lichte, the front fascia of these three models appear quite similar to the Audi Prologue concept, which showed the world, the brand new design language of the German brand back in 2014. 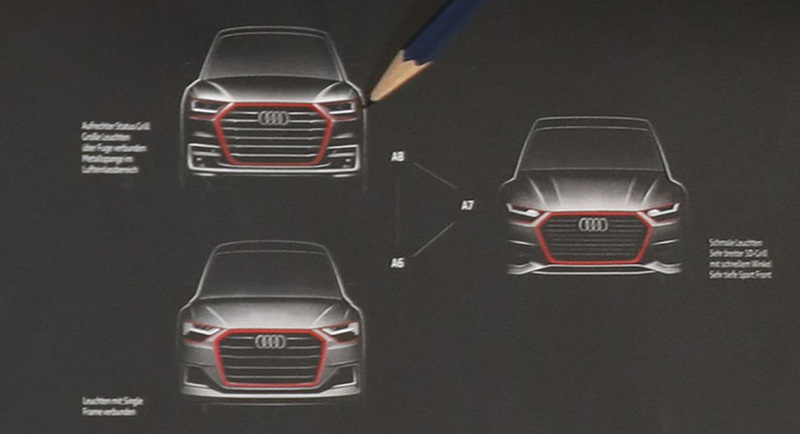 According to the design revealed by the brand, all the three Audi cars come with similar front fascia. They bear resemblance with the Audi Q7’s front fascia. The front grille appears tweaked from each other in these three models. Apart from that, the Matrix LED headlamps also come with distinctive appearance in each model. All the three cars come with a sculpted front fascia, grabbing attention at the very first glance. Apart from the Prologue concept, these cars have similarity with the Audi Q8 also. Interestingly, all the three models will share same platform, chassis, drivetrain and even the electrical systems as well. Speaking about the A8’s front fascia, it certainly bears the largest front grille covering almost the entire height. It comes with similarity to the current model’s front fascia, but the new generation model receives a more masculine and refined grille with six chrome garnished horizontal slats. The sculpted hood, sharp LED headlamps, bold bumper with a crafted air intake is also visible. The Audi A7 comes with a little smaller front grille, but the shape is identical to the new generation A8. Unlike its bigger sibling, the new Audi A7 doesn’t get a chrome garnished grille. Instead it dons a fully blackened radiator grille, enhancing the car’s sportiness further. Apart from that, the unique design LED headlamps and sleek creases on the hood give it a stylish look. The new generation Audi A6 comes wearing a front grille, which is large and masculine, but sports a different shape than its two other bigger siblings. The lower half of the radiator grille of A6 looks very different. It sports the thickest LED headlamps among these three cars.